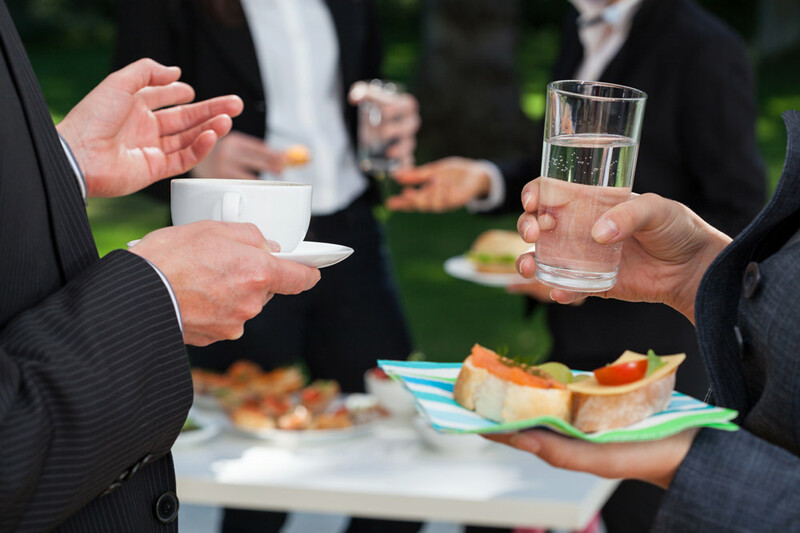 There are many special occasions and chances to organize a celebration and invite your beloved people or colleagues. Every special personal or professional moment, Christmas , new year’s eve or the Carnival can constitute a motive to entertain yourselves along with friends and siblings or bring out and promote your business. Corporate events for businesses or organizations (award ceremonies, presentation of new products or services, demonstrations, exhibitions, conferences, meetings, seminars, symposiums for children etc., new year’s cake event). 2.Special architectural and decorating features: Waterfall with rocky garden and lake, small pool with running water from the pitcher, bar and dense vegetation. 3.Outdoor space / garden: includes bar with hosting capability of 600 standing and 400 seated guests. 4.Indoor space / Covered patio: 2 levels, with folding glass partition of 180 degrees, heating, cooling, ventilation, wooden floor and amazing view to the garden, hosting capability of 600 standing and 400 seated guests. 5.Special reception area: for rest, preparation and freshening of the bride, groom or best man ( this area is not available for stay). 6.Church of Agios Dimitrios : with special shaped yard for the marriage ceremony. 7.Areas accessible by disabled people. Exclusive collaboration with the recognized Club Service Catering ( ex Floca) which can respond to the most demanding events, given the 25years experience, the expertise, the hotel-type equipment and organization. Impressive and literally unlimited gastronomic choices which vary from traditional greek menus to the most gourmet and ethnic suggestions. Special reception area for catering. Wedding cake, with installation and flavor chosen by the couple, from the collection of desserts of Papagalino (cream cake per person is served). Welcoming cocktails, choice between alcoholic and nonalcoholic drinks and side drinks as well. Reception drinks of unlimited consumption and bottled (white and red wine of fine selection, beers, refreshments, juices, sodas, water). Rotunda tables with white tablecloths, nappers and runners in various colors. Dinnerware, goblets and luxurious silverware. Romantic type lounge, metallic and white in the garden. Big and small lamps at the welcoming area and on the trees in the surrounding area. Art de la table along with the necessary equipment for the exceptional presentation and serving of viands and beverages. 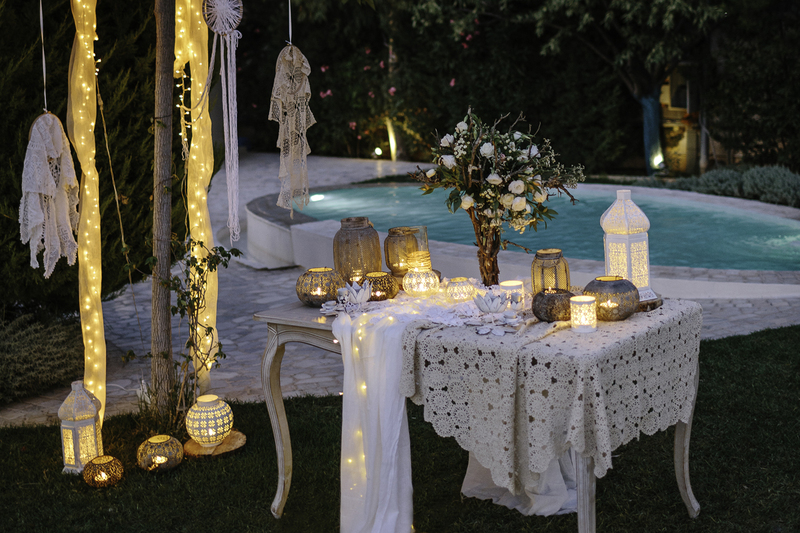 In the center can be placed without any charge one of the following compositions: a) Glass bowl with white pebbles and candle b) trunk cross wide cut with three jars wrapped with lace and decorated with straws, lavenders and tealights c) silver candlestick, low for 5 candles. Two private parking areas and valet service. Easily accessible by Varis and Attiki Odos. Exclusive collaboration with specialized and reliable companies: a) Full audio coverage and DJ service b) Visual effects c) Possibility of video show and slides on big screen c) balloons d) fireworks. For any other provision or service that you may need there is possibility to suggest you a team of professionals (photographers, decorators, animateurs etc.) who offer their services with discount for our customers and most importantly we know their style and the perfect quality of their work.